As you can see I’m attempting to more fully embrace the chalkboard aesthetic. 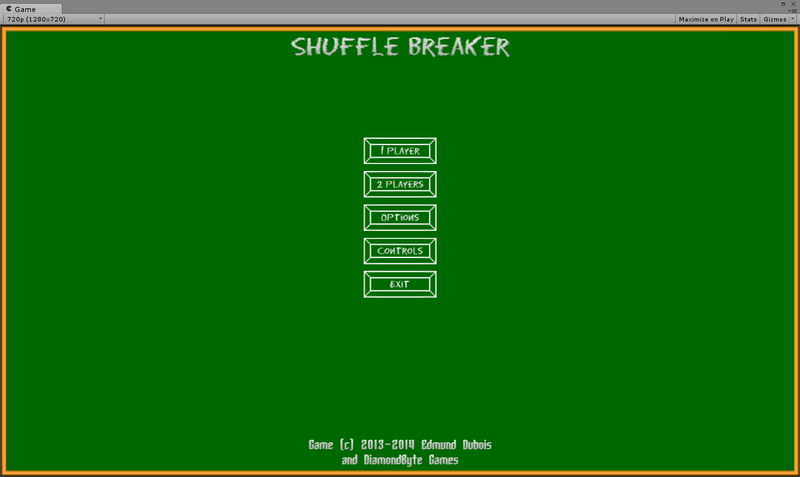 Not sure if I’ll include the sliding panels still, I might just have the menus pop in and out, or maybe apply a fade effect if i can swing that, we’ll see. The other aspect I was working on was still trying to find a good place to put the pucks when they need to be dropped both to start the game and to restart the game. The end result being the pucks being flung into the rink from the corner, like so. I’m thinking I might give it a random angle so that it might go in a few different directions. Anyway that’s all for me for now, I swear I’m going to get more regular at making updates, even if it’s not specifically about game dev. Maybe some reviews or random thoughts, I dunno.